Oregano oil benefits include protecting the heart, reversing depressive symptoms, balancing hormones, controlling pain and fighting infections. It is believed that oregano oil is one of the 10 most active oils against E. coli—just one of multiple oregano oil benefits. Oregano oil is truly a remarkable little miracle herb. Research studies confirm oregano oil benefits a variety of conditions, but its most impressive use involves its ability to fight a variety of infections. Oregano oil is such a powerful home remedy, it may very well be the most important bottle in your medicine cabinet. Below, we take a closer look at the five top ways that oregano oil can benefit your health. 1. Oregano oil has antiviral and antibacterial properties. Traditional healers since ancient times have used oregano extract to treat respiratory issues such as coughs, colds, flu, sore throats, and bronchitis. 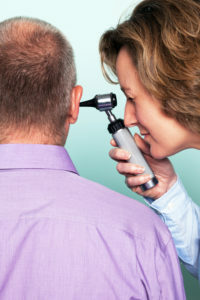 These types of respiratory infections are typically caused by viruses or bacteria. Based on notable research studies, oil of oregano benefits immunity because it helps improve symptoms of respiratory infection due to its antiviral, antibacterial, and anti-inflammatory properties. Furthermore, oregano oil benefits those suffering from respiratory infections or the flu because it promotes sweating, which makes it useful to bring a fever down. The oil also can be used to clear lungs and bronchial passages by mixing with a base of oil and rubbing it on the chest and aching muscles or by boiling it with hot water or adding it to a vaporizer to inhale the steam. 2. Oregano oil fights urinary tract infections (UTI). Pseudomonas aeruginosa is a common urinary pathogen and the third-leading cause of hospital-acquired UTI. Oregano oil benefits patients who suffer from UTIs due to its high content of carvacrol, which eradicates Pseudomonas aeruginosa bacteria. [5,6] Wild oregano oil with the highest content contain 75 to 85 percent carvacrol. It also inhibits growth of E. Coli (Escherichia coli O157:H7) and Proteus, bacteria that also cause UTIs. 3. Oregano oil benefits fungal and yeast infections. Aside from bacteria, oregano is also a very potent antifungal herb. In fact, oregano oil may be a more powerful anti-fungal agent than many commercial products on the market. Oregano oil is effective in eliminating the fungus that causes athlete’s foot as well as treating fungal infections on the skin and nails. Oregano oil is also effective at inhibiting the Candida fungi (yeast). It is more effective than other natural supplements in cases of yeast infections resistant to the conventional drug fluconazole (Diflucan), according to research published in the Canadian Journal of Microbiology. 4. Oregano oil kills parasites. Giardia is an amoeba, common throughout the world. There are more than 200 million people infected with Giardia each year. Research studies indicate that oregano is effective against Giardia. Oregano oil even protects against parasitic infiltration both in a physical environment and within the body. This includes round worms, tape worms, bed bugs, lice, fleas, and mosquitoes. 5. Oregano oil protects against foodborne illnesses as well as digestive issues. Studies have demonstrated antibacterial activity of essential oils against some of the most common foodborne pathogens, among them Listeria, Salmonella, E-Coli, and Shigella dysenteria (which causes dysentery). [10,11] In fact, you can add oregano oil to your eggs, meat, seafood, salad, or other dishes to actually prevent food poisoning microbes from growing. You can also add a few drops to your leftovers to prevent food spoilage. The most common symptoms of food-borne illness tend to be digestive issues. Oregano oil’s high content of carvacrol and thymol can help calm down stomach upset and aid in digestion by stimulating bile flow. Therefore, symptoms of food-borne illness—including nausea, vomiting, and indigestion, among others—can be alleviated by using the oil. Oregano oil also kills Helicobacter pylori, the bacteria that cause gastric ulcers. It can help with bowel problems such as constipation, diarrhea, and/or bloating and indigestion. Now that you know the amazing oregano oil benefits, you need to know how to safely take the herb. It’s widely available in bottled liquid extract, capsule, and tablet form; wild P73 oregano oil is the most potent. (Please note that before you begin an oregano oil supplement, advice from a healthcare professional is strongly encouraged.) In our post “How To Take Oregano Oil,” you’ll find details on how and how much oregano oil to take for specific ailments or purposes. J Med Food. 2008 Sep;11(3):568-73. Microbial Pathogenesis. 2016 Oct; 99: 95-100. J Appl Microbiol. 2001 Sep;91(3):453-62. Journal of Food, Agriculture & Environment. 2010 April;8(2):272-274. Int J Food Microbiol. 2004 Aug 1;94(3):223-53.
add, anti inflammatory, antifungal, bacteria, bloating, bowel problems, bronchitis, constipation, diarrhea, digestion, digestive, Digestive Issues, e coli, flu, food, food poisoning, fungus, gastric ulcers, health, helicobacter pylori, home remedy, how much oregano oil, how much oregano oil to take, how to take oregano oil, immunity, indigestion, infection, natural supplements, oil of oregano, oregano oil, oregano oil benefits, oregano oil capsules, skin, sore throats, supplement, supplements, ulcers, uti, vaporizer, wild oregano oil. 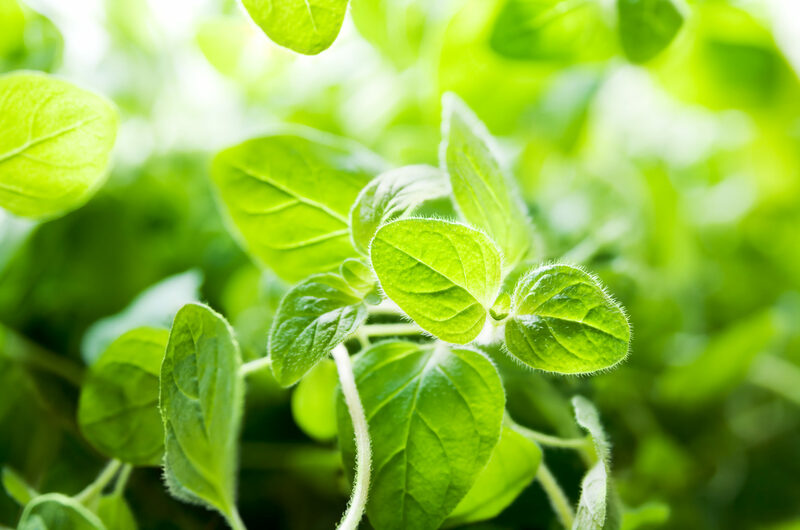 I mean 5 Amazing Oregano Oil Benefits – University Health News is kinda vanilla. You might look at Yahoo’s front page and watch how they write news titles to grab viewers to click. Is it better to take oregano oil (for chest infection) in pincutre form or capsules or are they equally beneficial? Oregano green leaves, combined with some virgin olive oil and a bit of salt are known to provide immediate gratification and relief from stress, quieting food envies. Also, it is a good starter for a healthy breakfast. Try it and see. be very careful in taking this oil. as it burns. The mix for an Oregano breakfast should be: a bunch of green leaves well washed out, plus enough olive oil for soaking, and some lemon juice. Some people may add a hint of hot spices. I would regard oil of oregano as the most useful herb known to man. I’ve killed strep throat in minutes with this oil, lung infections and even hsv1. I used to use Abreva but I found this more effective. Also for strep it works faster than antibiotics. Be very careful though this stuff can burn like crazy. If you apply it directly to your skin it’s gonna Hurt if it’s on a sensitive area. Is the Oregano Oil safe for children to take by mouth ? Oregano oil for children. Drops And how much to give? I like the title. I clicked on the link because of the title. I wouldn’t change it. I also stopped to read the article because of the title, I like it and think you should keep it.